A recent spate of flytipping which included evidence of drug taking in Boconnell Lane in Lurgan has been condemned by SDLP Councillor Declan McAlinden. There was also rubbish left on the edge of Silverwood Golf Course. Armagh, Banbridge and Craigavon council workers were once again tasked with the job of cleaning up the mess left behind. 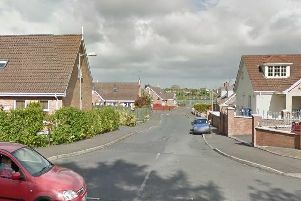 Mr McAlinden said: “Again we see that the people doing this have total disregard of the area and residents close by. I’m hoping council staff can look through the rubbish and get evidence of persons involved . If you notice any flytipping in your area you can report it by contacting the council on the website www.armaghbanbridgecraigavon.gov.uk. Alternatively you can telephone 028 3833 9031.